I simply want to share information that supports what your heart already knows. A few simple insights into how a brain with autism works. 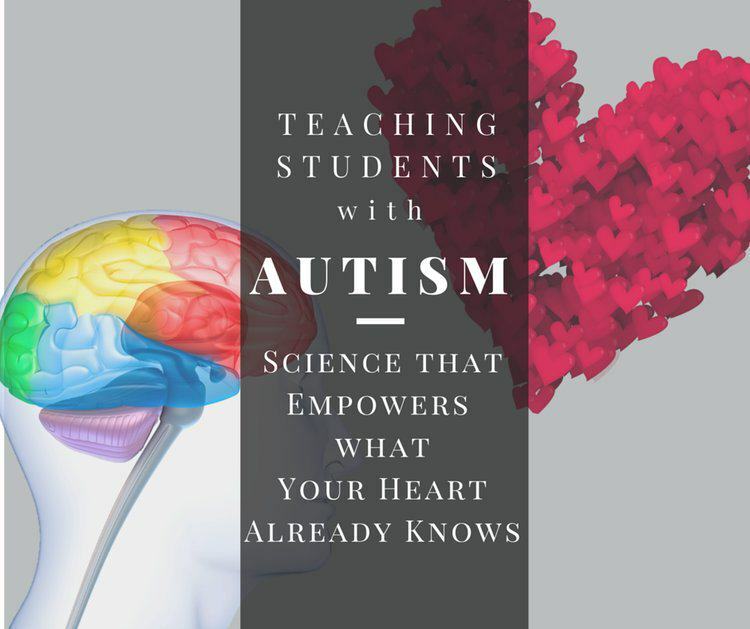 The more you understand about autism and the brain, the more empowered you will be to support your students. Our video, The Autism Circuit, provides an easy-to-understand explanation of the brain biology of autism. Please share it with your students, their parents, and your coworkers to help everyone better understand autism! The key to understanding autism is to first understand the brain. We think of the brain as “one organ.” In reality, the brain has dozens of different sections. Each section processes different types of information. The brain is best compared to the digestive system. The digestive system is a collection of many different organs that all work together to process our food. Likewise, the brain is a collection of different sections that all work together to process information. The key to understanding autism is realizing that the brain has dozens of different sections. With autism, many –if not most—of the sections of the brain work perfectly well. Some sections of the brain may even work exceptionally well! “Problems” are limited to a small number of sections in the brain. The different sections of the brain communicate through wires called neurons. Neuron wires are just like any other electrical wire; they require power to make connections. the sections of the brain affected. the various amounts of brain chemicals in each section. This is why autism is a “spectrum disorder.” There is a wide combination of brain sections and chemicals that can cause autism symptoms. The key to effectively teaching students with autism is to optimize the stronger sections of their brains. This process slowly builds detours around their challenges. Often, those detours help strengthen the “weaker” sections of the brain. So… how exactly do we optimize the stronger sections of the brain? Emotions are –literally— at the core of our brain; they are the Chief Engineer of the human experience. Young or old. Healthy or sick. “Normal” or “autistic.” IT DOESN’T MATTER. We are all human and emotions rule! Take a moment right now to place your fingertips on the vertebrate in your neck. Slowly trace your spinal column up your neck, into the base of your head. Hold your fingertips at the base of your skull. There is no “middle ground” for the amygdala. This is for self-protection. If a lion is stalking you for dinner, the amygdala is the first to receive this information. When it senses a threat of any kind, it triggers “High alert! Danger!” mode. When the amygdala is triggered into high alert, it drains power from every other region of the brain. So, when it senses a threat, it restricts function in the rest of the brain. On the other hand, when the amygdala is in “joy and engagement” mode, it becomes a manufacturing plant for fertile brain chemicals. It literally floods the brain with extra power resources that are essential for building neuron connections. Neurons only connect if they have enough power. Learning only happens if neurons can connect. As you now know, an autistic brain suffers from a low power supply in certain sections of the brain. 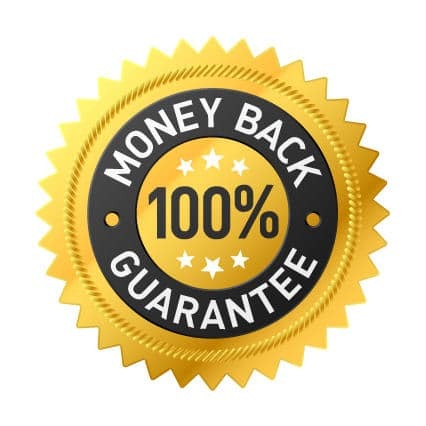 However, when positive emotions release a flood of brain chemicals into the brain, this is the most fertile opportunity for learning and growth to happen… in ALL sections of the brain! We tend to view positive emotions as nothing more than a “cherry on top.” In reality, positive emotions are critical to all learning. And, they are the greatest leverage point we have when working with students who have autism. That means… the most important thing you can do as their teacher (or parent) is make them feel loved, safe, wanted, and valued. If you do nothing more, you’ve moved mountains in their life! However, when your students feel safe and valued, their brains will automatically begin doing the heavier lifting of learning. The roadblocks will fade. More lightbulbs will go “on” because learning will begin to connect. Want to make a lasting, enduring connection with someone? Point out something they did well. Give them a genuine compliment. Need a good conversation starter at a party? Ask people, “What is your super power? What do you do better than 95% of the rest of the world?” Once people get over their initial modesty, they light up! At the dinner table with your family, start sharing strengths you observe in each family member. Ask others to share their thoughts. Watch as the smiles stretch across faces, bodies lean forward, and everyone gets a lot lighter! My point is that WE ARE ALL starving to understand our strengths. Obviously, this has a direct connection to the amygdala and our emotions. Recognizing a person’s natural strengths is one of the most powerful ways to make a connection. This is true for every single human being. The strong areas of their brain vastly outnumber the weaker regions. The brain is constantly growing and changing. They have the power to build detours around their challenges. They don’t understand any of these things because our society is fixated on what we all do wrong. We must flip the perspective into exposing –and celebrating—all that is RIGHT about them! All that is right about each of us. Compliments will only take a student so far. To empower them for the long-haul, we must teach them to better understand their own strengths. Teaching students about the Theory of Multiple Intelligences is the most powerful and motivating tool I’ve discovered. Check out our free Multiple Intelligences Quiz; these self-discovery quizzes are a big favorite among students. Every minute spent exploring the Multiple Intelligences and celebrating students’ strengths will yield a 10x result in their learning! Way back when you and I were embryos, our brains and skin developed out of the same, single cell. The brain and skin are essentially “two sides of the same coin.” And, no other part of our body is as densely wired to our brain as our hands. We all know “hands-on” and “tactile” learning is extremely helpful for students with autism. But, maybe you didn’t quite realize just how tightly connected the skin and hands are to the brain. “Hands-on” is clearly optimal for any human. But, for students with autism, “hands-on” becomes an essential tool for building detours in the brain. The more they can touch, the more neurons they are activating in the brain. The more neurons they can activate in the brain, the more learning happens. Hands-on and tactile learning experiences are so vital to students with autism because they use the stronger regions of the brain to access weaker regions. Hands-on is like a “back-stage pass” to accessing weaker regions of the brain. Over time, these neuron pathways get stronger… which means learning gets stronger, too. I don’t need to tell you that students with autism often miss the “implied” cues around their environment. You already know that direct and explicit instruction is very important for a student with autism. We had a young adult with autism working with us at SOAR®. When he first started, he asked questions, non-stop. He interrupted his co-workers every other minute! So, we spent some time drafting guidelines on “How to Ask Questions in the Workplace.” The situation immediately improved; his professionalism instantly blossomed! Before long, we also discovered he didn’t know how to end a conversation. So, we drafted some guidelines to teach him how to transition out of conversations. Once again, we saw an instant and dramatic improvement in his skills. In both situations, his awareness of these social situations grew. The explicit instruction literally opened pathways in his brain. We all noticed his increased ability to “sense” more in social settings. “Executive function” is the term we use to describe how we manage ourselves in the world. It’s the region of the brain that helps us manage our time, organize our belongings, and interact with others. Most “executive function” tasks are handled by the prefrontal cortex. After the amygdala, the prefrontal cortex is the next gateway to nearly all learning. 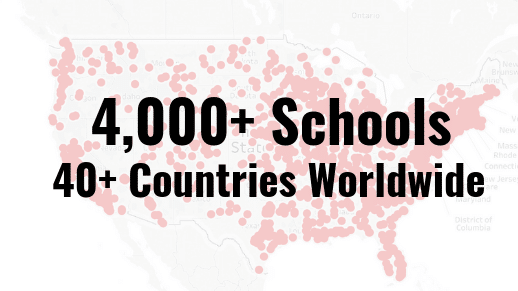 If pathways in this region can be strengthened, students with autism will experience much greater success! Connect to students through positive emotions. If you don’t, the amygdala will never let any other progress happen. If you do, you’ll get a hefty bonus of fertile brain chemicals for building skills and learning. Emphasize students’ strengths. For one, this is a fast way to flip the amygdala into “joy and engagement” mode. But, it also prompts the stronger sections of the brain to take the lead in building functional detours around weaker sections. Make learning “hands-on” and tactile. Make use of the strongest receptors in the brain to access learning. Provide direct instruction. Direct instruction eliminates the “guessing” and “inferencing” that challenges most students with autism. These are the four steps we follow in SOAR… We provide strengths-based, hands-on, direct instruction for building the executive function skills needed for success in school: setting goals, managing time, organizing assignments and supplies, communicating effectively with teachers and peers, and learning how to learn efficiently. The more you understand what’s best for autism, the more you’ll discover what’s really best for all of us, as beautifully designed human beings. Likewise, the more we treat our students with autism like “normal,” beautifully designed human beings, the more they will flourish! They key is to embrace these human-friendly strategies in all of our interactions with students. 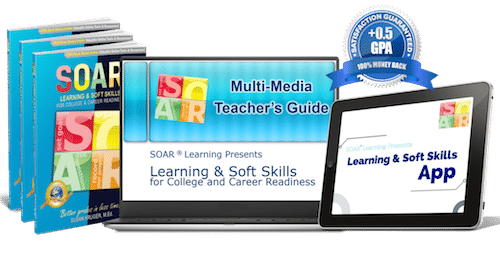 To learn more about the SOAR® Learning & Soft Skills curriculum and online app…. classroom educators can click here. Parents, click here.